Teaching your children about the value of money from an early age can empower them to make wise financial decisions throughout their lives. Opening a First Student Savings account is an effective way to help your child grow their money and learn the importance of saving for the future. Learn more about opening a First Student Savings account, which features are offered, and how a savings account can help your children build a foundation of healthy financial habits. The earlier that you can open a savings account for your child, the better. A savings account essentially gives your child a head start in life by helping him or her gradually save money for future purchases. Whether it is a car when the child turns 16 or funds for college tuition, this money can come in handy. Just small amounts of money can add up over time. From birthday cash to money earned from a summer job, each dollar builds over the weeks, months, and years and the balance can be significant once your child reaches adulthood. FVCbank offers a First Student Savings account for parents who wish to help their children succeed financially. With a First Student Savings account, there is no minimum balance and there is a low $5.00 minimum to open an account. Like standard savings accounts, savings accounts for children also earn interest. A First Student Savings account comes with a number of great features, such as unlimited teller transactions and access to online banking with convenient 24-hour access to your personal account. Up to six transfers can be made per monthly statement cycle. Interest on your money is compounded on a daily basis and credited to your account quarterly. Spending and savings habits are developed from a young age. When you open a savings account for your child early on, you can make saving money a normal part of life in your child’s mind. Kids can get excited about having their own bank account too and will often find enjoyment when they receive a statement in the mail each month with their name on it. With access to an online account, your child can also watch their money grow over time and set long-term goals, such as buying a car or going to college. As a parent, you have the choice to contribute to your child’s savings account for faster growth. However, you do not have to be solely responsible for funding the account. 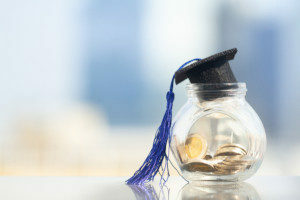 As your child may not yet have a job or source of income, you may consider putting a portion of your child’s allowance into the savings account. Your child may also choose to put some or all of the money they receive as gifts into the account. This gives you the opportunity to teach your child how to appropriately balance spending and saving. Opening a savings account for your child also teaches responsibility. They will learn how these personal banking services work and can feel a sense of pride as they watch their money grow. Even during months that you are not able to contribute any money to the account, you can always count on the extra money earned through interest. As there is no monthly service fee with a First Student Savings account, there is nothing to lose by opening an account for your child, but much to gain. Allow your child to make decisions about their account and to take charge of their finances as this is good practice for the future. It is never too early or late to open a savings account for your child. You can even open an account when your child is still an infant. Remember that personal finance is not a subject that is usually covered in detail in school. Therefore, it is your responsibility as a parent to teach your child what they need to know about handling money. Opening a savings account is just the first step. 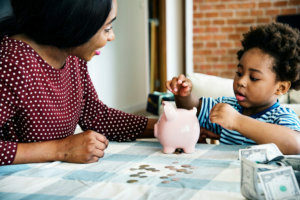 Once a strong foundation of how finances work has been built, you can go on to teach your child about other aspects of money, such as budgeting. Opening a savings account for your children comes with a wealth of benefits. From teaching the financial basics to growing your child’s confidence and responsibility, the advantages that result from saving are endless. Opening a savings account for your child is easy. Simply visit your local financial institution and fill out the necessary documents. If your child is under 18, you will need to sign the paperwork on behalf of your child. To learn more about the importance of saving money at an early age or for assistance opening a First Student Savings account for your child, contact FVCbank.